Cheerful, colorful and seemingly uncomplicated daisy flowers belong to the sunflower family or Asteraceae, which is one of the largest families of flowering plants. The often-showy flower heads actually have a complex design. They contain many individual flowers, with small, tubular flowers arranged in a central disc and showier, long-petaled ray flowers surrounding the disc. Many kinds of daisies exist, from tiny desert wildflowers to impressive, large blossoms such as gerbera daisies (Gerbera jamesonii), which are hardy in U.S. Department of Agriculture plant hardiness zones 9 through 11. The spiralling arrangement of daisy disc flowers allows for efficient seed production. Packed closely together in the central disc, disc flowers or florets usually have a slender, tubular flower with five short, evenly spaced, pointed petals around the flower's edge. Some daisies have showier petals, such as gerbera daisy. 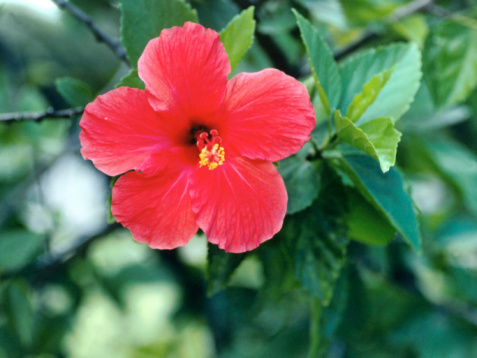 It contains three flower types, with a intermediate trans floret between the ray and the disc flowers. The florets display three petals fused into an upper lip and two recurving lower petals, which give a rather fluffy look to the disc. 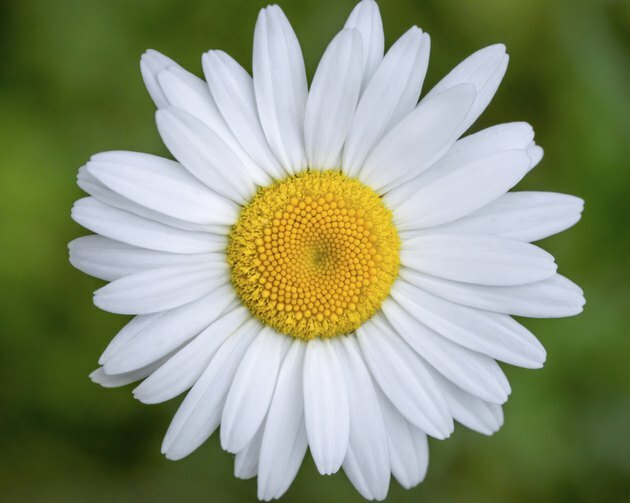 The disc flowers in all daisies open from the outer edge to the center of the disc. This helps ensure seeds with genetic diversity, since the flowers can be pollinated by different male parents during their progressive opening. Within each disc flower is a central pistil topped by a usually two-lobed stigma, which is the part of the female reproductive organs that receives the male pollen. The pistil extends down into the flower, ending in the flower's ovary, which will give rise to a seed. The pistil passes through a ring of five fused stamens, which are the male reproductive organs. They produce pollen, which gets transferred to other flowers by pollinators and fertilizes the flowers so they can produce seeds. At the flower's base and on top of the ovary, is a ring of bristles called the pappus. In disc flowers, these form a parachute for the mature daisy seed so it can be carried on the wind. In a single daisy, one row of ray flowers surrounds the disc. The ray flowers are the ones that get pulled out in the game of "Daisy, daisy, tell me true." Many daisies have multiple rows of disc flowers, such as semi-double and double flowers of garden chrysanthemum (Chrysanthemum spp. ), which grows in USDA zones 5 through 9. The long, often strap-shaped ray flower petal is called a ligule. Ray flowers have female reproductive parts but lack male reproductive parts. In some daisies, such as sunflowers (Helianthus annuus), the ray flowers are sterile and don't produce seeds. In other daisies, ray flowers do produce seeds. The single-seeded ovaries of daisies are called achenes. As disc flowers are pollinated, they eventually wither and the seed and the associated pappus, which together are called the cypsela, begin to develop. If the ray flowers can produce seeds, they bear heavier seeds with thicker seed coats than disc flowers and the seeds don't have a pappus. Underneath the composite flower head is a series of green, pointed structures called bracts or phyllaries. There can be one to several rows of them. They cover the base of the daisy, which contains an enlarged internal receptacle that holds all the flowers.